What’s the best way to get over your cheating ex-boyfriend? Take a new job halfway across the country and have a fantastic one-night stand your first night in town. I felt pretty good about my decisions … until I bumped into the guy that gave me the best orgasms of my life my first day at work. Turns out, he owns the vineyard where I’m the new events coordinator. And he’s not satisfied with just one night. I’d invited him back to my hotel as a palate cleanser, and now he wants to be the main course. Or to make me the main course. Aside from the problems inherent in the fact that Max is my boss’s boss, I’m still raw from the end of my last relationship. And he’s too experienced to be anything but a player. Am I just setting myself up for more heartbreak by getting involved with him? 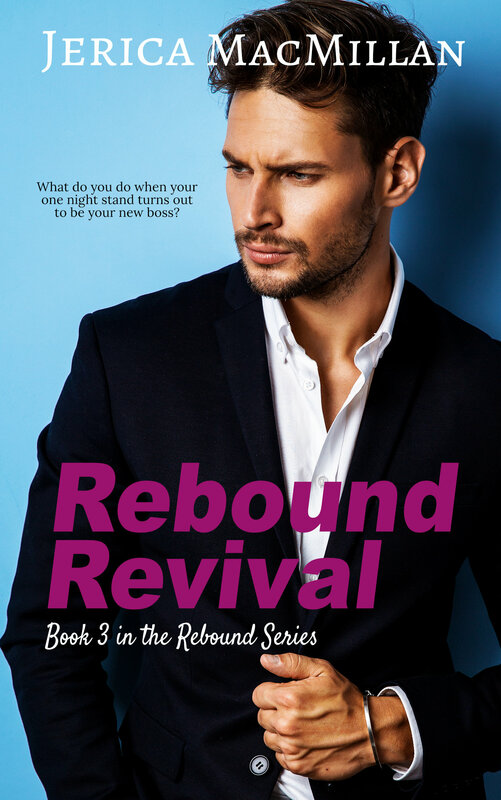 *Rebound Revival is a steamy standalone romance about how sometimes a change of scenery is just what you need to find yourself, and maybe even someone else. If you love stories about starting over and taking chances, get this book today! I’ve loved every one of Jerica MacMillan’s books I’ve read and this one was not any different! I was blown away by this book. I think this was my favorite story in the series but really they were all great!